(Trent Nelson | The Salt Lake Tribune) Art Jeffs at his Carquest Auto Parts store in Hildale, Saturday March 17, 2018. Hildale • One Saturday in 2014, Preferred Parts, an automotive parts store here, lost all of its employees and most of its sales. Preferred’s owner, Art Jeffs, had been banished about 1½ years earlier by leaders of the polygamous Fundamentalist Church of Jesus Christ of Latter-Day Saints. His wife, Jerusha Jeffs, had been trying to carry on the auto parts business, but after church security saw her meeting with her husband at a park in LaVerkin, she too was ostracized. Overnight — almost literally — Preferred Parts went from selling an average of $120,000 worth of automotive parts a month to $20,000, Art Jeffs says. 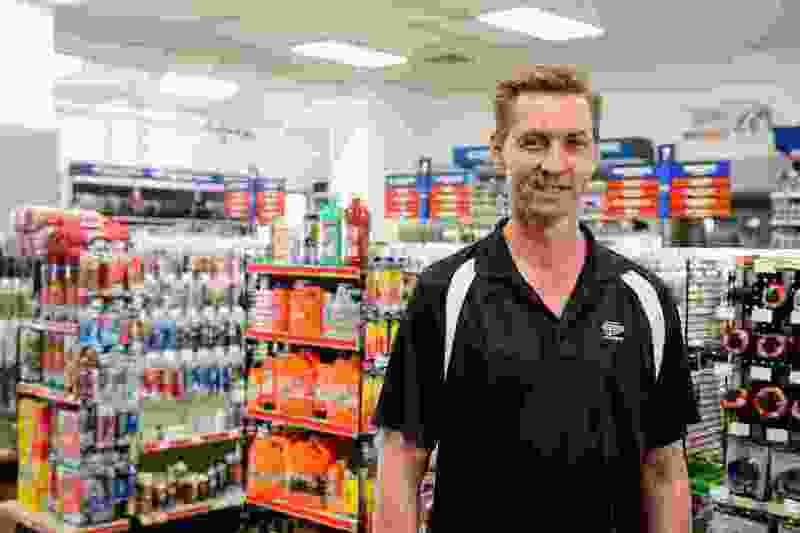 He didn’t think the boycott of his store would last long, but, almost four years later, the hundreds of FLDS members who reside in his community still don’t buy their auto parts from him. The story of Preferred Parts is told in an ongoing lawsuit and a history written by Jerusha Jeffs. 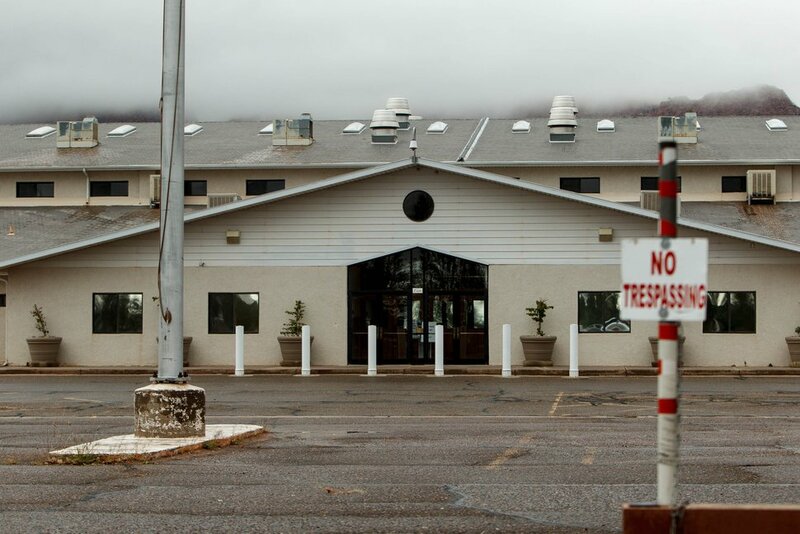 Preferred contends that an auto repair shop called Streamline Automotive, Hildale’s municipal government and FLDS leaders conspired to take over the parts store and put Preferred out of business. “If we didn’t make a stand, somebody else would be hurt like we were,” Art Jeffs said of the lawsuit. Court documents and interviews also describe how the FLDS controls the economy in Hildale and adjoining Colorado City, Ariz., collectively known as Short Creek. People who once belonged to the FLDS or its forerunner are trying to create a service and tourism economy in Short Creek and keep open such commercial basics as groceries and hardware stores. But they have complained that FLDS members won’t patronize their businesses. Art and Jerusha Jeffs pose with one of their six children in this photo dated Aug. 23, 2009. They were members of the Fundamentalist Church of Jesus Christ of Latter-Day Saints until Art Jeffs was sent on a repentance mission. Photo courtesy Art and Jerusha Jeffs. In January, a mayor and three City Council members who do not follow FLDS President Warren Jeffs took office in Hildale. Hoole hopes that will spur a favorable resolution to Preferred’s dispute with the municipality, but there’s no sign of any abatement in the litigation with Streamline and the FLDS. For now, the lawsuit remains pending in Utah’s 5th District Court. A lawyer for Hildale declined to comment, citing the pending lawsuit. Attorneys representing Streamline did not return messages seeking comment. Streamline Automotive has longstanding ties to the FLDS. In 2006, letters to Warren Jeffs intercepted by law enforcement discuss FLDS boys starting work at Streamline. Philip Barlow, who lost his re-election as Hildale’s mayor in November, works there. Art Jeffs is the grandson of late FLDS President Rulon Jeffs and a nephew to the current president. Art was a faithful follower of the church. He had an auto parts store in Colorado City for about three years. 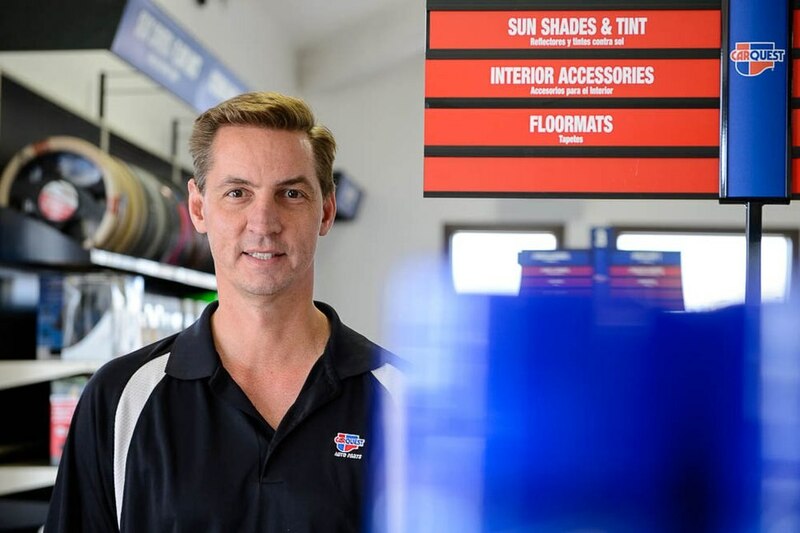 Then, in 2009, he began discussions with Hildale about moving his business there. They settled on an industrial lot owned by the city. It was one of the best locations in either town — along the highway on the north edge of Hildale. The municipality had initially leased the lot to Streamline, which had a warehouse there and a repair shop. According to court documents, Streamline agreed to let Preferred take over the lease on the lot where the warehouse sat, and Art Jeffs converted it into his auto parts store. The store was a member of the Carquest franchise. Art Jeffs, Streamline and Hildale all signed agreements in 2010. Jeffs would pay Streamline $125,000 to take over the lease, and he would pay Hildale $100 a month to maintain it. Streamline agreed to accept the $125,000 in monthly installments, according to contracts in the court record. Jeffs says there also was a verbal agreement that, in lieu of money, Streamline would receive roughly $2,000 a month in credit at Preferred. He says Streamline’s mechanics installed tens of thousands of dollars in bearings, spark plugs, brake pads, hoses and other parts from Preferred. Hoole says the arrangement for the store credit demonstrates how faithful FLDS members do business with one other. Many agreements are informal because they believe their business dealings have a shared goal — building up God’s kingdom on Earth. “They just basically agreed, ‘Hey pay what you can,’ because it was a good old boys’ network,” Hoole said. That’s not to say money doesn’t change hands among the FLDS. Art Jeffs says some of his biggest customers were the local governments on both sides of the state line — the two municipalities, the fire district, the water utility and the landfill. All were controlled by FLDS members. In 2014 and 2016, federal juries found the two municipal governments discriminated against people who were not FLDS members. According to Transparent.Utah.gov, which tracks government spending in Utah, Hildale’s municipal government spent $7,505 at Preferred in fiscal year 2013. Subsequent years wouldn’t be so good for Preferred. Trent Nelson | The Salt Lake Tribune The LSJ meetinghouse in Colorado City, the building ex-members say houses the FLDS church's surveillance camera operation, Thursday, Oct. 10, 2013. In October 2012, Art Jeffs and eight of his brothers were summoned to the meetinghouse. A man representing the bishop read what he said was a revelation from Warren Jeffs, who by then was serving a sentence of life plus 20 years in prison in Texas for sexually assaulting two girls he married as plural wives. The revelation said Art and his brothers were to go on what the FLDS call “repentance missions.” They were supposed to leave the community and write letters to their imprisoned uncle confessing their sins — whatever those were. They were supposed to stay away until called to return. The reasons for this were vague, Art Jeffs said in a recent interview, though the revelation made some reference to his father, who was among the rivals Warren Jeffs excommunicated at a church service in 2004. Art Jeffs complied. He had been raised to do so, and he also was afraid of losing Preferred, which was supporting him and Jerusha, their six children and other friends and extended family who worked there or relied on the employees’ wages. Art Jeffs left Preferred in the hands of his wife and his cousin, Marcus Jeffs, and moved to Cedar City. Marcus Jeffs had acted as the store manager, and Jerusha Jeffs’ written account says it didn’t take long for him to assert more control. For instance, he hired a new bookkeeper. One day, Jerusha Jeffs says, she heard equipment scraping and digging outside the store. It turned out Marcus Jeffs and Streamline were planning to use Preferred’s large parking lot as a space to sell used cars. Marcus Jeffs, who could not be reached for comment on this story, had signed papers with Hildale to lease that portion of the lot back to Streamline. Art Jeffs had always resisted having used cars sold outside his store. He wanted an auto parts store, not a car lot. Jerusha Jeffs was angry about the car lot and that no one had talked to her about it. When Jerusha complained to Marcus Jeffs, he stopped her. Paraphrasing, Jerusha says Marcus told her, “You better just be at peace or I will go to the bishop and have you removed” from Preferred. Hoole says the episode points to another way the FLDS do business. Even though individuals may start and own the businesses, FLDS leaders treat those businesses as church assets whose executives and employees can be removed and replaced. “They just kind of appoint people,” Hoole said. While struggling to keep hold of Preferred, Jerusha Jeffs was also trying to keep the remains of her family together. She was worried that protesting the happenings at the store would lead to her being sent on a repentance mission, too. A few months after Art was sent away, Jerusha was called to the bishop’s office. She wrote that her six children knelt and prayed in their living room as she walked to the meetinghouse. They were worried their mother would also be sent away. The bishop was another of Art’s uncles — Lyle Jeffs. Jerusha says he asked if she would stop the cycle of sinning in her family and reminded her that her children belonged to the church and not to her, that her three oldest daughters were beyond age 8, which the FLDS consider the “age of accountability” and that she should prepare them to leave to go with more-worthy FLDS men and women in other church enclaves. Jerusha Jeffs said yes to everything. For the next few months, Jerusha Jeffs wrote, her three oldest girls slept at the foot of her bed “weeping in their sleep and crying out” to not let anyone take them away. The children never left. One day at the Costco in St. George, Jerusha ran into her husband. Rather than ignore or walk away from Art Jeffs, as FLDS members are instructed to do when they encounter someone who has been sent away, Jerusha told him everything that was happening. They decided to secure their family and their business. Jerusha Jeffs went to Hildale to get copies of Preferred’s lease and other papers, but city employees told her they didn’t have it. According to Jerusha Jeffs, the city had records of accepting lease payments and the sublease to Streamline for the car lot, but no record of the original lease for Preferred. Jerusha Jeffs says FLDS security was suspicious of her, began following her, and spotted her and Art in LaVerkin near the start of February 2014. Jerusha Jeffs spotted a spy taking photographs. A few days later, Marcus Jeffs drove to Cedar City to see Art. Marcus had made an offer to buy Preferred for $100,000. The store had five times that in inventory, Jerusha says, and she and Art had put another $200,000 of their money into the business. Art Jeffs said he needed to think about it. But really, Art said in a recent interview, he was just stalling for time so he and Jerusha could make sure all the accounts and papers were in their name. (Trent Nelson | The Salt Lake Tribune) Art Jeffs at his Carquest Auto Parts store in Hildale, Saturday, March 17, 2018. Three days after the offer, Feb. 15, 2014, all the Preferred employees quit and the boycott began. FLDS faithful stopped shopping at the store. Preferred had about $120,000 in accounts receivable when the boycott began. Art Jeffs says only about two-thirds of that has ever been paid. Public records show Hildale did not spend a penny at Preferred in the three fiscal years that followed. Art and Jerusha Jeffs say the other local governments controlled by the FLDS didn’t buy from them either. Hildale has been buying auto parts from a Hildale business called Premier Auto Parts, Utah’s transparency website shows. Premier sits in an industrial building with other businesses registered to FLDS members. There is no signage and no listed phone number. Art Jeffs says Premier doesn’t sell parts to the general public. Premier’s registered agent is Marcus Jeffs. Art says his cousin started the business after he and Jerusha refused to sell and Art returned to Hildale. Streamline hasn’t used its credit or bought anything from Preferred since February 2014, Art Jeffs says. Not long after the boycott began, Streamline representatives began to allege Preferred had failed to pay what was owed on the lease. Streamline, through an attorney who at that time also represented Hildale, sent a letter to Art and Jerusha Jeffs’ lawyer seeking to buy Preferred. Instead, Art and Jerusha Jeffs made an offer to Hildale to buy their lot for the assessed value. At the time, Hildale was selling other industrial lots to FLDS-controlled businesses for only the cost of the dirt they were sitting on, but Art and Jerusha Jeffs say Hildale wouldn’t accept their offer. Art and Jerusha Jeffs sued in September 2014. They are seeking damages against Hildale and Streamline for their refusals to recognize or abide by terms of Preferred’s lease and efforts to remove Preferred from the industrial lot. Streamline has made a counterclaim that Preferred has not been making its monthly payments. That claim appears to ignore the store credit Streamline received. 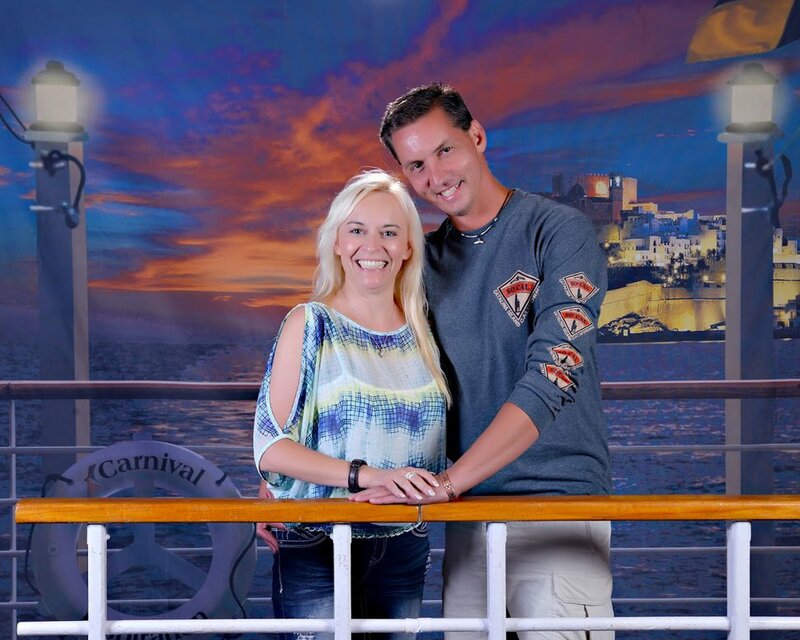 Art and Jerusha Jeffs pose for this photo aboard Carnival Cruise Line in 2016. They were members of the polygamous Fundamentalist Church of Jesus Christ of Latter-Day Saints until Art Jeffs was sent on a repentance mission in 2012. 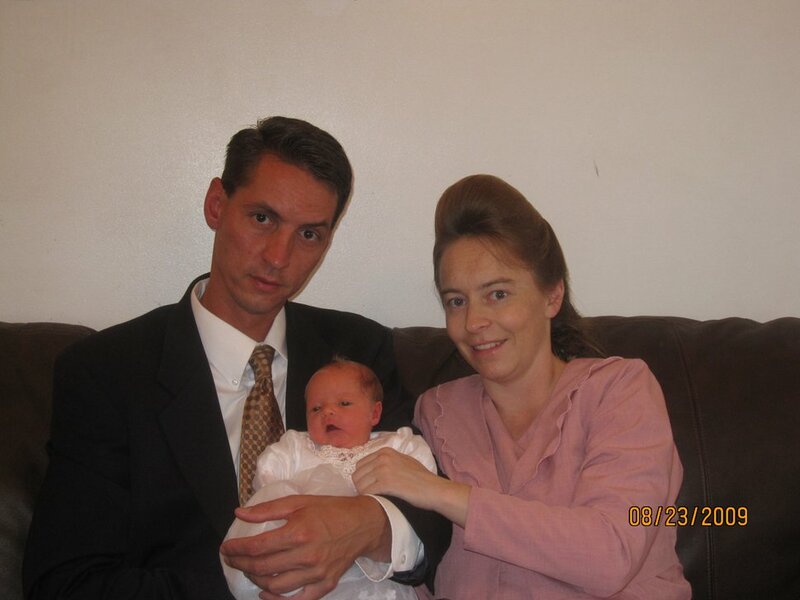 Jerusha Jeffs left the FLDS in 2014. Photo courtesy Art and Jerusha Jeffs. A judge has denied Preferred’s effort to bring religious discrimination claims against Hildale. Hoole says he plans to appeal on that point. Streamline and Hildale still face breach of contract claims; the FLDS Church and Warren and Lyle Jeffs remain defendants accused of conspiracy. Marcus Jeffs is not named as a defendant in the lawsuit. While the lawsuit has been underway, Art and Jerusha Jeffs have struggled to keep Preferred open. At times, they have lacked money to keep a full inventory. Tourists driving between Zion National Park and the Grand Canyon have stopped at Preferred, Art Jeffs says, and been unable to find such automotive basics as belts, starters and tie-down straps. Art Jeffs said Carquest has been sympathetic to the situation. It recently gave him a $50,000 loan to restock the inventory. Carquest also donated laborers to install new shelving and displays. Jerusha Jeffs, in an interview, said her anger is directed not so much at the FLDS members or their actions themselves, but how her family has not been able to move forward and build a business that could benefit the entire community.